This post will walk through the installation of vSphere Data Protection (VDP) 6.1.3; a vSphere integrated backup and recovery solution. Data Protection is based on EMC Avamar deduplication backup and recovery software, and can also integrate with EMC Data Domain for scalability. 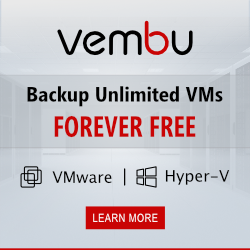 In addition to full virtual machine backups vSphere Data Protection offers file level restores, application level backup and restores, backup data replication to remote sites, and reporting. An emergency host level restore feature has been added for situations where the vCenter Server or web interface is unavailable. For more information on the features available to vSphere Data Protection 6.1.x see this technical overview. vSphere Data Protection is deployed as an OVA template. 0.5 TB backup datastore, 873 GB disk space, 4 vCPU, 4 GB memory. 1 TB backup datastore, 1600 GB disk space, 4 vCPU, 4 GB memory. 2 TB backup datastore, 3 TB disk space, 4 vCPU, 4 GB memory. 4 TB backup datastore, 6 TB disk space, 4 vCPU, 8 GB memory. 6 TB backup datastore, 9 TB disk space, 4 vCPU, 10 GB memory. 8 TB backup datastore, 12 TB disk space, 4 vCPU, 12 GB memory. The backup datastore can be extended after deployment, up to the maximum size of 8 TB per appliance. For assistance with sizing the appliance for your environment see pages 27 and 28 of the vSphere Data Protection Administratrion Guide. To avoid block size limitations the appliance should be deployed to VMFS5 or later. Each vCenter Server supports up to 20 vSphere Data Protection appliances. The amount of virtual machines each appliance typically supports is 150 – 200. This is dependent on factors such as the virtual machine size, the amount of changed data, and the date retention period. By default Data Protection can backup machines utilising SAN, NAS, or VSAN datastores. For hosts using DAS, or hosts in remote locations, external proxies can be deployed as virtual appliances from the VDP UI. Up to 8 proxies can be deployed per vSphere Data Protection appliance. Review the vSphere Data Protection 6.1.x Release Notes and vSphere Data Protection Administratrion Guide. The table below lists the supported vCenter Server versions for 6.1 variations of vSphere Data Protection. If you are using vCenter 5.5 U3 with Data Protection 6.1, 6.1.1, or 6.1.2, see this kb. All variations of Data Protection 6.1.x support ESXi 5.1 through to ESXi 6.0 U2. For ESXi 6.5 version 6.1.3 of Data Protection should be used. To check compatibility with any other VMware products see the Product Interoperability Matrix. FQDN resolution must be in place. A forward and reverse DNS entry needs manually adding. The vCenter Server and attached ESXi hosts must be configured with an NTP server. The VDP appliance pulls the time configuration from vSphere. The following disk types are unsupported: independent, RDM independent (virtual compatibility mode), and RDM physical compatibility mode. Each virtual machine to be backed up should be running VMware Tools and hardware v7 or above. 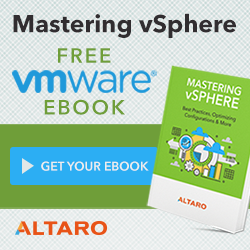 Download the VMware vSphere Data Protection OVA here. The ISO is used for upgrades. Browse to the vSphere web client and right click the cluster where the virtual appliance will reside. Click Deploy OVF Template. Browse to the downloaded OVA file and click Next. Enter a name for the virtual appliance and select a location, click Next. Select the datastore for the virtual appliance and click Next. Select the VM network to use and click Next. Enter the network settings for the virtual appliance. Review the summary page, tick the Power on after deployment box and click Finish. DNS values for forward and reverse lookup must be in place for the configuration wizard. Manually add a DNS host record for the IP address of the virtual appliance and the desired host name and domain. After deployment browse to https:\\:8543/vdp-configure, where is the IP address or FQDN of the vSphere Data Protection appliance. Log in with the root default password changeme. The configuration wizard will load, click Next. Enter a host name and domain for the appliance. The network settings are auto- populated, click Next. If DNS forward and reverse lookup values are not in place the wizard will fail at this point. Configure a new root password for the virtual appliance and click Next. Enter the vCenter Server details and click Test Connection. If successful click Next. Select the size of the datastore to create for backup data, click Next. Select the storage to use and the provisioning type, click Next. Accept the default CPU and memory allocations and click Next. Select or leave the Customer Experience Improvement Program check box and click Next. Select whether or not to run performance analysis on the storage configuration. The performance analysis tests the read, write, and seek speeds of the underlying storage. Once ready click Next to apply the changes. Click Yes to confirm. The virtual appliance will now be reconfigured and rebooted. This process can take around 15 minutes depending on your infrastructure. When the appliance is back online a VDP icon will be added to the home page of the vSphere web client, default alarms are also added. To view and change settings related to the virtual appliance you can log back into https:\\:8543/vdp-configure, where is the IP address or FQDN of the vSphere Data Protection appliance. The installation is now complete and you can begin scheduling backup jobs using the Create Backup Job wizard. This entry was posted in ESXi, vCenter and tagged Backup, Data Protection, VMware, vSphere on December 1, 2016 by ESXsi. More than 2 hours ago and it does not go out of this status, has anyone been through this?